We are actively looking for PASSIONATE, ENERGETIC INDIVIDUALS to join our dynamic teaching team in Bangkok & Phuket. Successful candidates will undergo training in ABSOLUTE YOU's unique teaching style and sequences/programming. 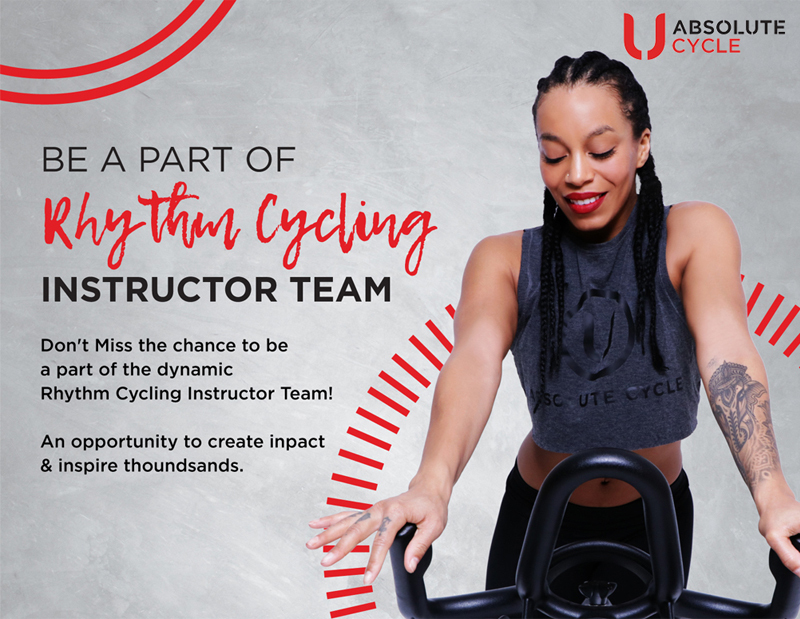 Absolute Cycle is searching for new instructors to learn and teach Rhythm Cycling in our existing and upcoming studios. On Discovery day, you will get to know more about us and get try our class for free. The course consists of 6-week training, with 150 hours split between lectures and rides, 5 days a week (Monday – Friday), 5 hours per day. Selected applicants will be given a full scholarship worth Bt. 250,000 ( S$ 10,000) and an employment contract.